Unlike individual therapy, family therapy involves exploring how families can solve problems together as a system. A skilled therapist assists the family identify unhealthy patterns and make lasting changes. At Forward Counseling, Our Family therapy is based on family systems theory. Family therapy may be used to focus on individual topics such as financial issues, conflict resolution between family members, or family therapy may focus on how one family member’s actions effects the rest of the family. How Does a Family Therapy Session Work? During the initial sessions we will get to know each other, identify problems and family dynamics. Your therapist will discuss a plan to help your family reach their goals. Through family therapy and homework assignments, family members work together to resolve problems and improve family functioning. At Forward Counseling, we use a family systems approach. 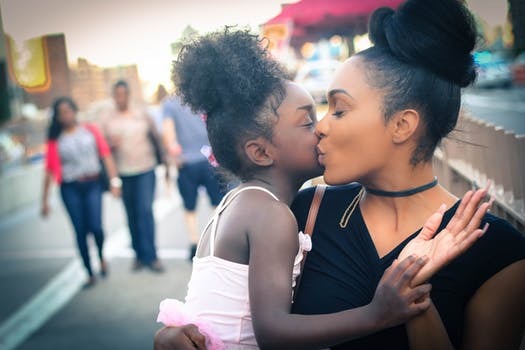 The family systems theory is a theory introduced by Dr. Murray Bowen that suggests that individuals cannot be understood in isolation from one another, but rather as a part of their family, as the family is an emotional unit. Families are systems of interconnected and interdependent individuals, none of whom can be understood in isolation from the system. According to Bowen, a family is a system in which each member had a role to play and rules to respect. Members of the system are expected to respond to each other in a certain way according to their role, which is determined by relationship agreements. Within the boundaries of the system, patterns develop as certain family member's behavior is caused by and causes other family member's behaviors in predictable ways. Maintaining the same pattern of behaviors within a system may lead to balance in the family system, but also to dysfunction. For example, if a husband is depressive and cannot pull himself together, the wife may need to take up more responsibilities to pick up the slack. The change in roles may maintain the stability in the relationship, but it may also push the family towards a different equilibrium. This new equilibrium may lead to dysfunction as the wife may not be able to maintain this overachieving role over a long period of time. Triangles: The smallest stable relationship system. Triangles usually have one side in conflict and two sides in harmony, contributing to the development of clinical problems. Differentiation of self: The variance in individuals in their susceptibility to depend on others for acceptance and approval. Nuclear family emotional system: The four relationship patterns that define where problems may develop in a family. Family projection process: The transmission of emotional problems from a parent to a child. Multigenerational transmission process: The transmission of small differences in the levels of differentiation between parents and their children. Emotional cutoff: The act of reducing or cutting off emotional contact with family as a way managing unresolved emotional issues. Sibling position: The impact of sibling position on development and behavior. Societal emotional process: The emotional system governs behavior on a societal level, promoting both progressive and regressive periods in a society. One of the best ways to begin therapy and to gain understanding of how the emotional system operates in your family system is to put together your family genogram. Studying your own patterns of behavior, and how they relate to those of your multigenerational family, reveals new and more effective options for solving problems and for changing your response to the automatic role you are expected to play. By entering key information, such as names of family members, key life events, emotional relationships, and social relationships, the user can easily create a multi-generational genogram of their family system or of their patient's family system. The genogram thus created becomes a graphical picture of the family, helping the user to identify patterns of behavior and dysfunctions that need to be addressed. Your family systems therapist will help you identify and resolve unhealthy patterns. Learning new skills, frequently communication skills, are part of the process to a healthier happier family. How Long Does a Session Last and How Much Does It Cost? 50-90 minutes per session and the fee is $150.00. We do accept insurance and Medical Savings Cards for Family Therapy. The length of time a family engages in therapy depends on the issues. Family therapy involves “homework.” Just as in learning a foreign language, the more you practice the skills learned in session, the quicker the progress. Some issues resolve quickly (helping a family choose a school for their child), whereas other issues took longer to develop and may take longer to resolve (patterns of abuse, infidelity). After the initial few weeks, your therapist will help you identify goals and approximate length of therapy.